Today the Supreme Court has ruled that the joint enterprise law has been wrongly interpreted for 30 years. But what is it and why is it controversial? Let us explain a little more…. Joint enterprise cases involve crimes where more than one person takes part. The evidence rules enable those who did not strike the fatal blow or pull the trigger nonetheless to be convicted of murder. The joint enterprise law has been used to convict people in gang-related cases if defendants “could” have foreseen violent acts by their associates. However, judges have now ruled that it was wrong to treat “foresight” as a sufficient test. Joint enterprise cases have become increasingly controversial because of the large number of gang-related killings that have come to court in recent years. 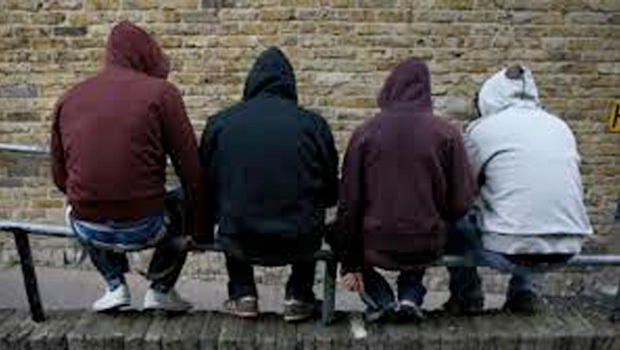 A large proportion of those convicted have been young, black and mixed-race men, a recent report by the Commons justice select committee highlighted. A campaign group, the ‘Joint Enterprise Not Guilty by Association’, has argued that the way judges have interpreted the joint enterprise rules have led to widespread miscarriages of justice. Among well-known joint enterprise cases are the convictions obtained against the killers of Stephen Lawrence, who was stabbed to death in a racist attack in south London in 1993, and Ben Kinsella, a schoolboy knifed in north London in 2008. Both cases, the select committee report says, are “widely referred to as examples where the use of the doctrine of joint enterprise has secured convictions which have met with widespread public approval and support”. The supreme court ruling specifically identifies mistakes made by judges since 1984 and so will not impact on earlier notorious joint enterprise killings such as the 1952 shooting of a police officer for which Derek Bentley was hanged. Bentley did not pull the trigger but had told his 16-year-old accomplice, Christopher Craig, to “let him have it”. Bentley was posthumously pardoned by the court of appeal in 1998. The decision by the Supreme Court could pave the way for hundreds of prisoners to seek appeals. It will apply in England, Wales, Northern Ireland and most UK overseas common law territories but not in Scotland, which has its own rules on joint enterprise. However, the ruling doesn’t mean that those convicted under enterprise are automatically able to appeal, it would need to be shown that they have suffered ‘substantial injustice’. • The ruling did not automatically mean that all previous joint enterprise convictions were unsafe. • “A person who joins in a crime, which any reasonable person would realise involves a risk of harm, and death then results, is guilty at least of manslaughter”, the maximum sentence for which is life imprisonment. • The rule that “a person who intentionally encourages or assists the commission of a crime is as guilty as the person who physically commits it” was not affected. • It remained open to a jury to decide whether a person intentionally encouraged or assisted a crime, for example through knowledge that weapons were being carried. If you or someone you know could have a case to appeal a joint enterprise conviction then please contact O’Garra’s for further help and advice.